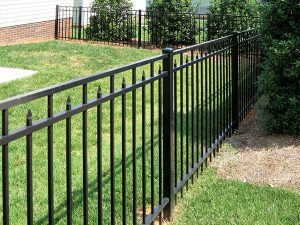 Echelon Plus aluminum fencing is the highest quality residential and light commercial ornamental aluminum fence in the industry. Echelon Plus is best known for its remarkable strength which is derived from a unique ForeRunner rail design. 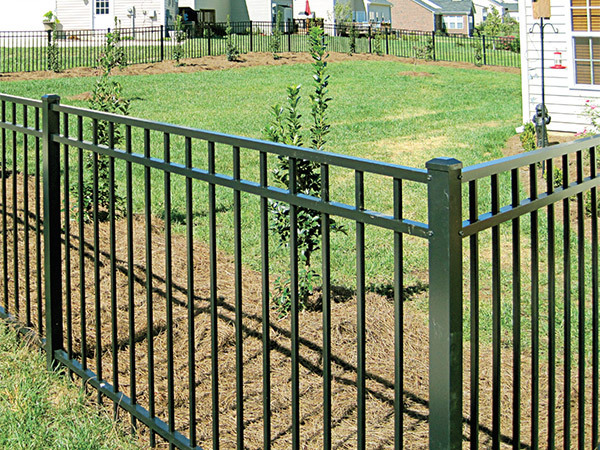 The ForeRunner rail allows this aluminum fence system to follow changes in elevation while maintaining security under the fence. The component design gives the Echelon family several distinct characteristics: the ability to follow grade as much as 30” over 8’, no visible picket to rail fasteners, and unparalleled strength. 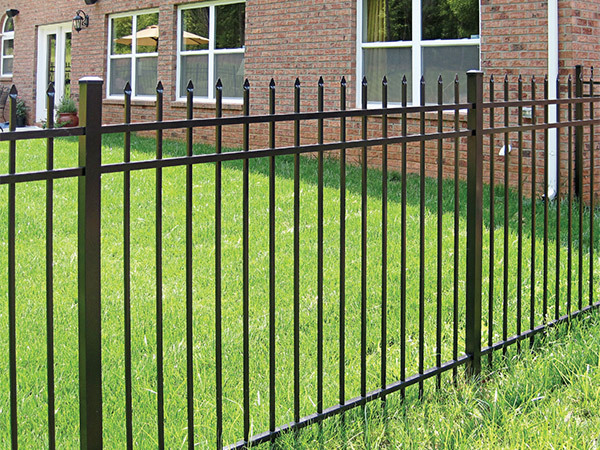 All of these features make Echelon Plus by Ameristar the leader in aluminum fencing. 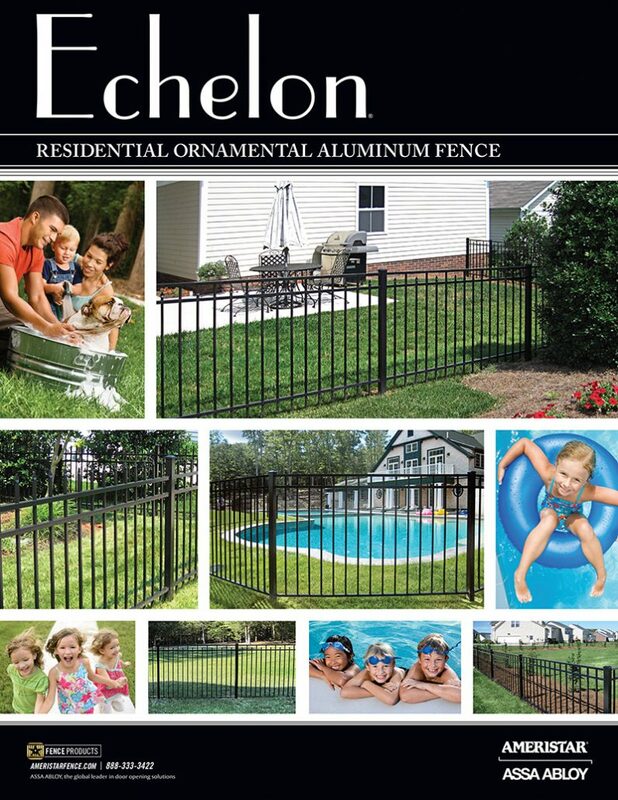 Download the borchure for full details on all of the Echelon Aluminum fence products by Ameristar we offer including specifications, colors, ornaments and more. 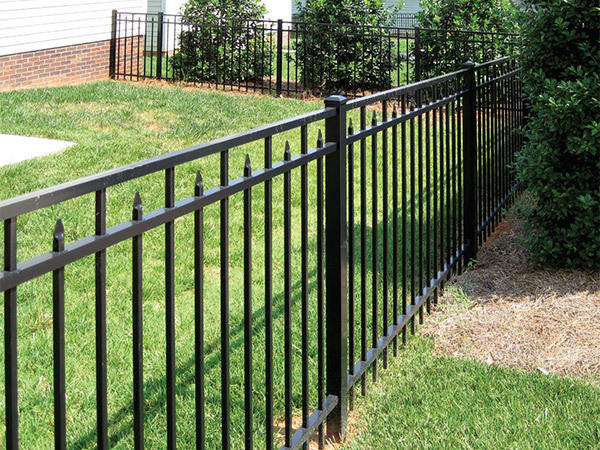 Extended pickets that culminate to an arrow-pointed spear capture the look of old style wrought iron fencing. Single, double and arched swing gates that perfectly match this fence style are also available. The flush top rail projects a more modern, streamlined look that beautifully accents flowers and shrubs when used as border landscaping. Pool panels with either 2 or 3 rails are available that perfectly match this style of fence as well as single, double and arched swing gates. Extended flat-topped pickets serve as a base for your choice of accent finials providing a customized design. Single, double and arched swing gates that perfectly match this fence style are available as well. Combining the striking look of spear-topped pickets with the safety of a flush top rail, this is a perfect look for those who want the “best of both worlds”. 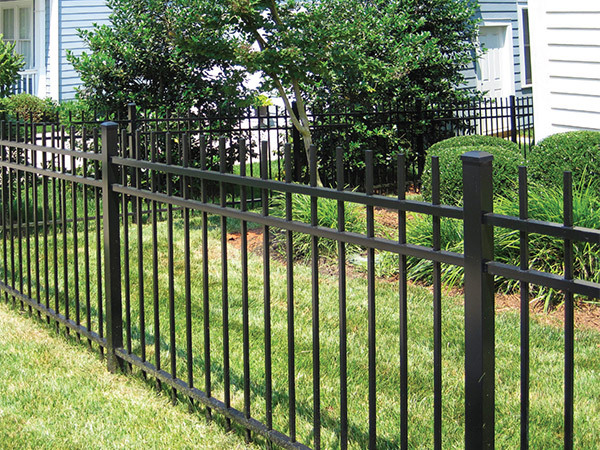 Pool panels are available that perfectly match this style of fence as well as single, double and arched swing gates.